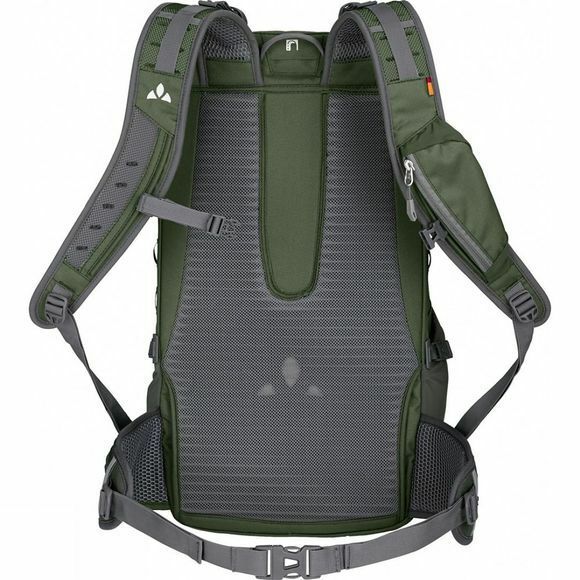 Extremely adaptable: Sporty Varyd 30L Rucksack made from bluesign certified primary materials, which can be configured for different types of use. The MSP back panel can be modified for different activities: with greater curvature for biking, normal curvature for hiking or without the panel at all for urban outings with a smaller load. The shoulder straps and hip wings feature perforated foam for good ventilation and are engineered for the female form. The hipbelt wings can also be removed and stored for urban use. 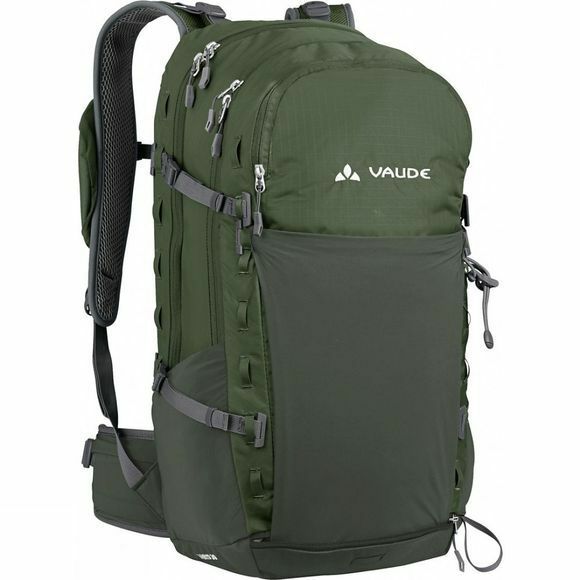 Vaude's compression straps can be attached in a variety of ways and a stowable front stretch pocket creates a variety of possibilities: as a padded compartment for the laptop for everyday use, as an urban sports backpack with attachment for climbing rope or a skateboard, as a compact hiking backpack or as a bike pack with helmet attachment. The possibilities are so versatile as life itself–go out and configure your own personal Varyd!